I was on the Go Train from Hamilton last week, approaching Toronto’s Union Station from the west. As we passed the Fort York at a slow speed, I was struck by the beauty and majesty of the scenery. I decided to come back to the Sir Isaac Brock bridge below and take a few shots. The view was simply spectacular. Looking East towards Union station from the bridge the rail tracks, with the tall buildings in the financial district in the background and the clear blue sky. Everything is fused into one big, beautiful picture. The next picture is a classic example of the modern versus the old. Good old Fort York Garrison on the right stands in stark contrast to the condo buildings going up just a short distance away, and the relentless din of traffic on the Gardiner Expressway. Historical Fort York Garrison with the Gardiner Expressway in the background. 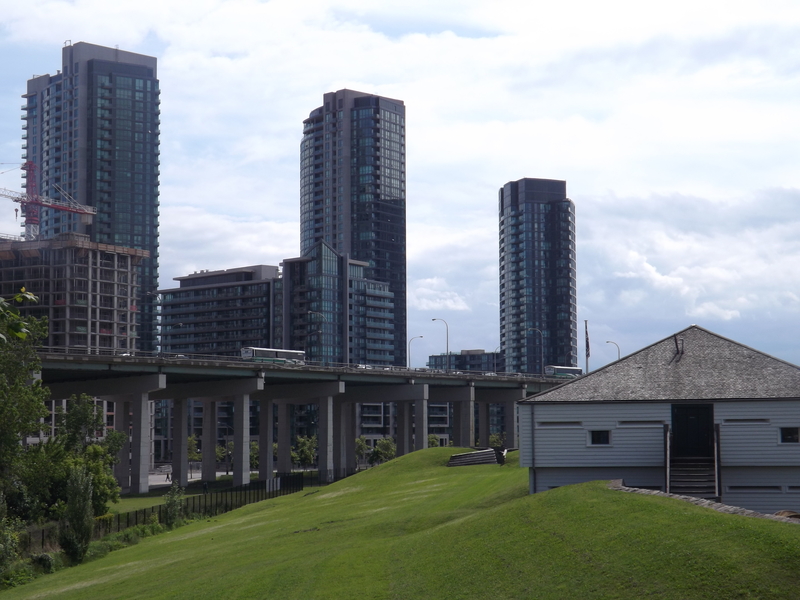 If you are looking for an interesting and scenic tour in Toronto this summer, you may consider visiting our very own Fort York at Bathurst and Front Street.